If these are the specs you are looking for then click on the Buy Now button and place your order now. Computer Point offers the lowest price of Apple MacBook Pro (MR9R2) 2018 - Space Gray in Pakistan! Apple MacBook Pro MR9R2 (2018) is an inspired notebook that has approached a novel and extensive technology horizon in terms of convenience and enactment. 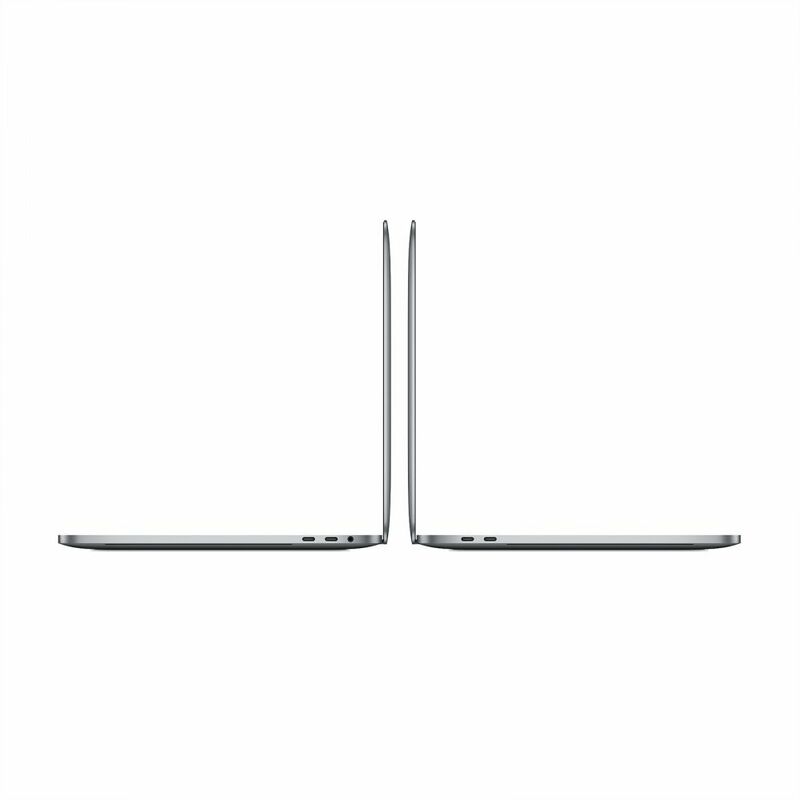 You may stand at any place on the globe, Apple MR9R2 (2018) is faster enough to be compared with any other latest available laptop. Paklap, one of the oldest Apple machines’ partner offers this Apple Mac (2018) on its online store. The latest MacBook 2018 occupies 512 GB hard disk with high‑performance memory and processors. It delivers its user enormous fastest storage and advances graphics embedded with a 128MB DRAM to enhance its graphics power. The concept of advanced computer graphics offers its users graphics ideas mostly used to develop up-to-date computer games. The space grey color is a decent but prominent shining match for professionals. Apple MacBook Pro 13 (MR9R2) 2018 Space Grey is a high-quality machine for its computing performance. Its 3.8 GHz Turbo Boost is about double of its older generations. The pro-level processing jobs like 3D modeling, languages compilations, graphics effects, multiple layering, and video processing are executed faster to satisfy the developers’ needs. It can be configured with up to 16GB of 2133 MHz LPDDR3 memory to execute jobs like virtual machines usage, multiple pro applications, and largely-sized compilations. The New Apple MacBook Pro (MR9R2) 2018 includes a solid-state drive having sequential write speeds reaching 2.2 GB/s and sequential read speeds reaching 3.2 GB/s. 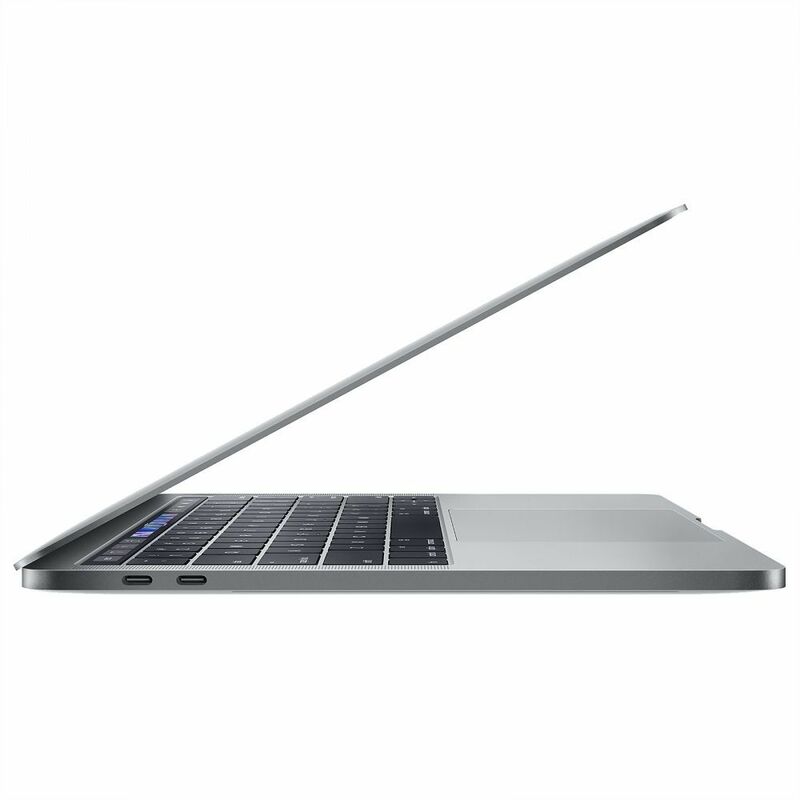 The Touch Bar is provided with True Tone technology and 512GB SSD. Space is more than enough for working with big data, graphics designing and video libraries. The user gets a boosted speed as well as space for a large number of apps running at the same time. Also, the file encryption is done automatically by Apple T2 chip. Another powerful feature of the latest Apple (MR9R2) 2018 is Thunderbolt 3 that associates high bandwidth with the adaptability of USB Type‑C industry’s merits to produce one revved‑up universal port. MacBook Pro 13 and 15 are provided with maximum 4 ports. Other devices are integrated through an adapter. The user can customize the frequently used apps to speed up the work. Furthermore, system security is accessible through system settings. Users can find the mid-2018 13.3-inch (MR9R2) MacBook Pro on Paklap.pk with Touch Bar and True Tone technology. 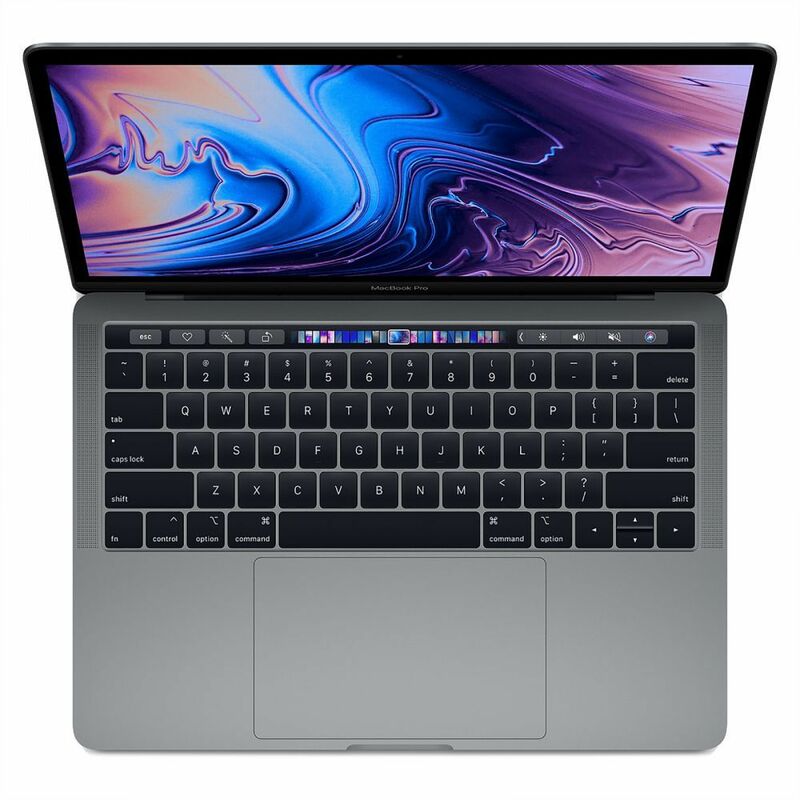 The MacBook Pro (2018) MR9R2 is an ideal laptop as its Touch Bar has the ability to manage document formatting, accounting, and email sending in a faster way. MR9R2 (2018) automatically deviates itself for with the application being used by fetching the applicable shortcuts on front and center. This feature efficiently substitutes the old fashioned function keys by displaying controls tools like browsing content, brightness, volume etc. The Apple MR9R2 (2018) keyboard enjoys another feature called butterfly mechanism. The mechanism removes traditional scissor mechanism and offers key stability to produce a soothing effect. The Touch Bar mechanism of 13.3 inches Mac Pro (MR9R2) contributes a delightful user practice with a noiseless keyboard. Its Force Touch trackpad is capacious enough to provide a good amount of space to fingers. The 8th Generation Intel Core processor MacBook presents an eye-catching space gray casing color. Apple has removed worries of silver, white, and bright colored electronic items. A MacBook in black color was also not much conventionally adored by many users. The surface damages used to be prominent with light and dark colors. Hence, Apple MR9R2 2018 (Space Grey) has been intelligently manufactured with a robust built an incredible space grey color. If you’re interested in purchasing this latest Mac then just click on the Buy Now button and place your order now. Paklap offers the lowest price of Apple MacBook Pro 13 (MR9R2) 2018 Core i5 – Space Grey in Pakistan with 24 to 48 working hours delivery time.